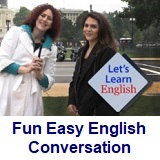 ﻿ Fun Easy English - new american english standard conversation Voice of America VOA learning English for intermediate lesson 30 Dream a Little Dream discourse. In this lesson Anna talks to many coworkers about their dreams and plans for the future. ASHLEY: Anna, where are you going in such a hurry? ANNA: Hi, Ashley. The nurse’s office. Today I get the results from my blood test. ASHLEY: I’m sure you’re fine. Don’t worry. ANNA: You know, I used to dream of being a nurse. It is such an honorable career. Is there something you’ve dreamed of doing? ASHLEY: Sure! I would love to be a dog trainer. Actually, I’ve taught my dog, Dublin, lots of tricks! ANNA: Well, I’m off to the nurse. Bye, Ashley. NURSE: I’m looking at her test results and they’re not good. In fact, I’m afraid she’s not going to make it. ANNA: What?! I'm not going to make it? I'm dying?? NURSE: Anna, come in. How are you? ANNA: I guess..not so good. I’m dying!? NURSE: What are you talking about? ANNA: I just heard you on the phone. Just tell me: How much longer do I have? NURSE: I wasn't talking about you. A student of mine didn’t do well on her science test. So, she won’t be able to make it ... to graduation. ANNA: Whew. Thank goodness! For a minute, my whole life passed before my eyes. There are so many things I haven't done yet. NURSE: Well, life is short. It’s important to do something you love every day. ANNA: I couldn’t agree more. NURSE: Now, let’s talk about your blood test. Your cholesterol is really low. JONATHAN: Okay, Anna, say something and I’ll check your sound level. ANNA: Testing 1, 2, 3. Testing. Jonathan, I’ve been wondering something: What’s at the top of your bucket list? JONATHAN: That’s easy. I’d love to win the World Karaoke Contest. ANNA: This is so strange. I just saw on Twitter that they are having auditions in D.C. this weekend! JONATHAN: Are you serious? Can you read the story by yourself? ANNA: Penelope, I was wondering if you still dream of being a dancer. ANNA: Well, guess what: A famous dancer is having a flash mob around the corner! Hundreds of people are dancing together! ANNA: Way! If you leave right now, you can join them! Bye! ANNA: Pete, what’s one of your dreams? ANNA: Pete -- not that kind of dream. I mean your hopes for the future. PETE: Oh. I plan on selling my book to Hollywood and becoming rich and famous. ANNA: That’s going to be difficult. PETE: It’s my agent! Hello? Uh-huh. Sure! I can be in Los Angeles tomorrow! ANNA: Well, good job, Anna! My work here is done … almost. MUSIC: You can search but you won't find the answer without a dream. You can reach for the stars but you won't get there without a dream...without a dream. MS. WEAVER: Anna, what’s going on? Where is everybody? ANNA: I don’t know. Maybe something is, uh, going around the office. MS. WEAVER: You mean germs? Anna, you’d better use some of this hand cleaner. You don’t want to get sick, too. ANNA: Right. Okay, thanks. Not germs – dreams, Ms. Weaver. Dreams. MS. WEAVER: What did you say, Anna? 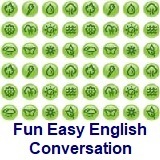 PROF. BOT: We hope you have enjoyed Level 2 of Let’s Learn English. Everyone is following their dreams, big and small. PROF. BOT: What are your dreams? 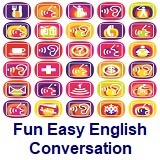 Our dream is for you to keep learning English! Thanks for watching. I've always wanted to start a wellness company. I’m thinking about joining a musical band. My dream is to be a dancer. I've dreamed of traveling the world. My hope is to open an English school one day. I hope to have a house with a garden. My plan is to become a journalist. I plan to work as a museum tour guide. Note that dream, hope and plan can be nouns or verbs. What are some things that you have always wanted to do, be or have? 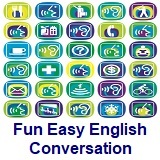 Use the language you learned today to tell us about it. Or, just tell us what you think about Level 2. We'd love to hear from you! bucket list – n. a list experiences or achievements that a person hopes to have or accomplish during their lifetime.